Today, Swanson Reed officially launched, TaxTrex – a cloud based software solution designed to help accountants and their clients become experts in the R&D Tax Incentive. 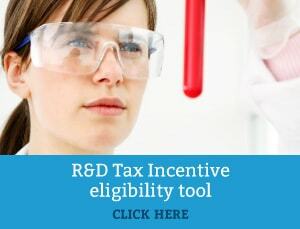 TaxTrex is Australia’s first platform to bridge the gap between the R&D tax adviser, the tax agent, and their client. TaxTrex allows the company’s external accountant to prepare R&D claims with little or no risk. FACT: 82% of accountants think that preparing R&D claims without specialist help is too risky. Swanson Reed’s research has found that most external accountants find it difficult to provide advice to their clients on R&D file maintenance methods. Part 1: What is TaxTrax? Why is TaxTrex better than the existing approach? 90 minutes of user time. 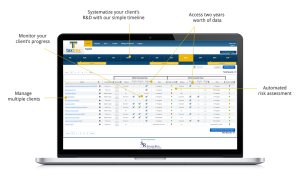 TaxTrax achives intensive preparation in just 3 steps over the course of a year and 90 minutes of user time. Why should you use TaxTrex with your clients? TaxTrex will help smaller accounting firms to retain clients and grow revenue streams in what is becoming a tough economic environment. Part 3: Why should you use TaxTrax with your clients? TaxTrax will help smaller accounting firms to retain clients and grow revenue streams in what is becoming a tough economic environment. To learn more about TaxTrex please contact us or phone 1800 792 676.